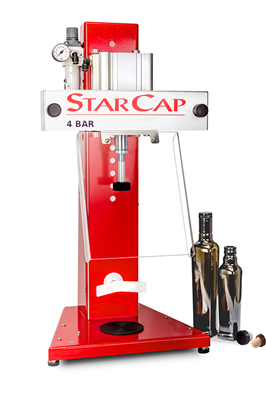 The "StarCap" Bartop Capper by Tenco is a fully air-operated & innovative capper that installs Bartops/T-Corks, Plastic Caps and Champagne Stoppers. 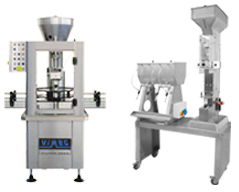 This is solid, well built, compact and easy to use machine for perfect capping of bottles using Bar-Tops/T-Corks and plastic snap-on caps. 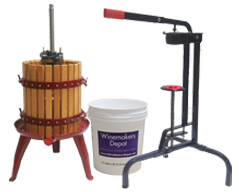 Bartops or plastic caps are pressed on after placing on top of bottle and is a great addition to any small distillery looking to automate. 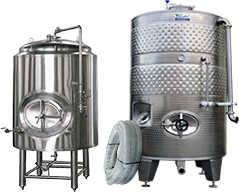 When both start-buttons are switched on, the Bar-top or cap is placed into the bottle by compression, ensuring cork/cap integrity. 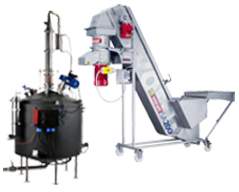 The special capping head design ensures perfect capping without damages to the surface. 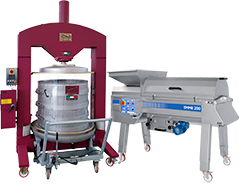 The StarCap Bar-Top Capper is equipped with a condensation collection and dump unit, air pressure adjuster to regulate the pressure depending on the type of cork or cap employed. 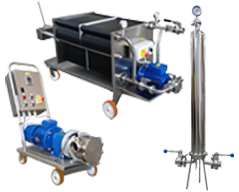 Requires an air compressor (not included) with an output of 60 - 90 PSI.